What are Fixed Indexed Annuities? 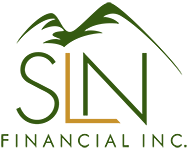 | SLN Financial, Inc.
You may have heard about fixed indexed annuities (FIAs) through the news, your friends or family, or perhaps your financial advisor…but do you know what they offer? Here’s four important characteristics of FIAs. FIAs allow people to invest their money while giving a safe investment with guaranteed returns*. This is great for people with limited funds who want to invest their money without taking a chance on investment risks. There’s an “accumulation period”. This period involves a guaranteed minimum interest rate (usually 1-3 percent) and a current rate, which is contingent on market conditions. This current rate, while variable, generally falls around 4 percent. The annuity’s “liquidation period” starts at the end of the accumulation period. This is when you will begin receiving payments. These funds are now annuitized, meaning you now have fixed and guaranteed lifetime payments! But, because they’re fixed rates, there’s no protection from inflation. Will a fixed indexed annuity work for you? We can help you decide! Give us a call and we can assist you in making the best choice for your situation. *Guarantees and interest rates are based upon the financial strength and claims paying ability of the insurance company issuing the product.